Thousands of people across the UK made the popular New Year's resolution to quit smoking. Now that the excitement of starting a new year is over, many of those people are slipping back into the dangerous habit. If you're one of these people, you'll need a helping hand and that's what you can get right here at the Chemist 2 Customer online pharmacy. You may have seen a recent TV advertising campaign for new Nicorette QuickMist. It's a highly-effective quit smoking aid and, for a limited time, you can save a full 25% on the RRP of this revolutionary product at Chemist 2 Customer. Nicotine is a highly addictive chemical, which causes unpleasant cravings and withdrawal symptoms to occur when the body is denied access to it. Nicorette QuickMist is designed to relieve these cravings and withdrawal symptoms, helping you to quit for good. It can be used to completely replace smoking or as a way to dramatically cut down on your cigarette intake. Traditional nicotine replacements such as patches or gum take time to start working, reducing their effec­tiveness. Nicorette QuickMist is a liquid which is sprayed directly into the mouth, getting to work in just 30 seconds and increasing your chances of being able to quit for good. Two flavours are available (fresh mint or cool berry) and you can save even more money by purchasing a cost-effective twin pack: each pack contains 150 sprays. 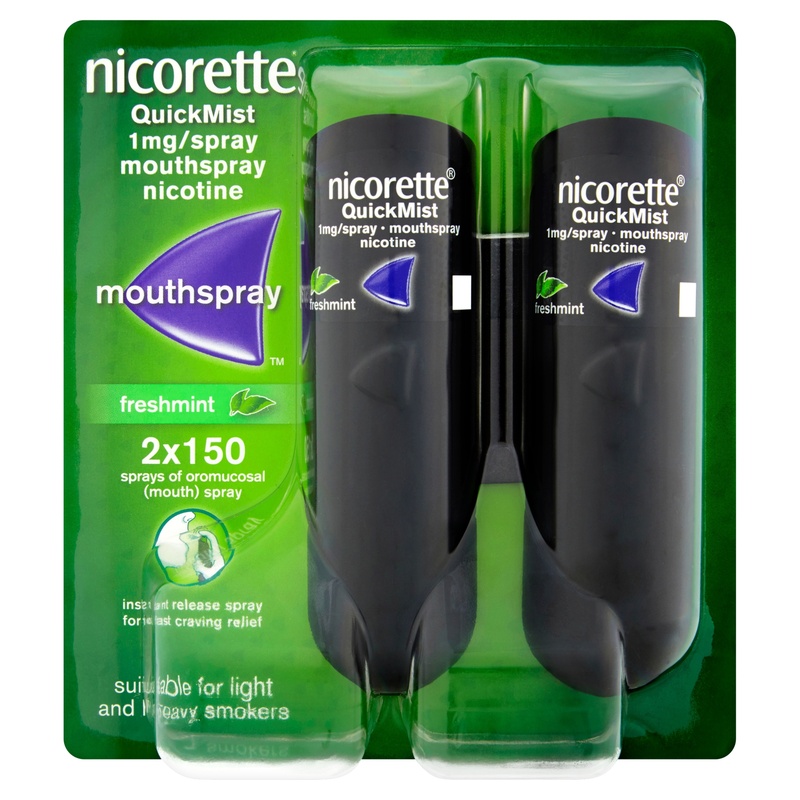 Find out more about Nicorette QuickMist on the product pages and order soon to save that 25%!